SWABI: A three-day art, fashion and theatre festival concluded at Ghulam Ishaq Khan Institute of Engineering Sciences Swabi on Wednesday. The festival provided an opportunity to the male and female students from different parts of the country to show their talent and enjoy the entertainment. Students from different universities of the country participated in the festival and showed their skills regarding art and fashion. On the occasion a face painting competition was also held in which the students took keen interest. The students also performed a theatre show which was greatly liked by the viewers. The students and other people who visited the festival praised the organisers and said such events should be organised on a regular basis to promote talent of the students and provide them healthy entertainment. The students said they thoroughly enjoyed the festival and it was a good learning exercise. They hoped that such events will also be organised at other universities and educational institutions. 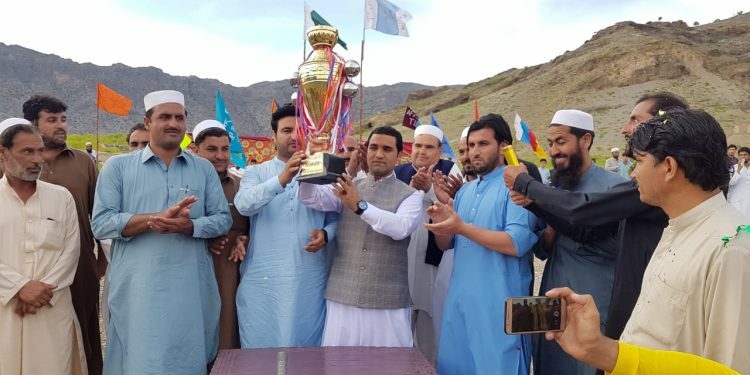 The first Super League Cricket Tournament has kicked off in Landikotal, Khyber tribal district. Assistant Commissioner Muhammad Imran inaugurated the tournament organised at Konj ground by Watan Dost Welfare Organisation. The PTI leader Sher Mat Khan Afridi was also present on the occasion. Eight teams from Landikotal are participating in the event. Muhammad Imran and Sher Mat Khan said in their speeches that there is no dearth of talent in the tribal districts. They said the tribal players were previously ignored in the national and international level competitions, but the situation is changing now. They said work on establishment of a sports complex in Landikotal will be launched soon. They said the inclusion of Shaheen Shah Afridi and Usman Shinwari from Khyber tribal district in the national cricket team shows how rich is this area in cricketing and other sports talent. Watan Dost Welfare Organisation representatives said the purpose behind organising the event is to keep the youth away from negative activities and give a message of peace to the world. They said Khyber tribal district is very rich in sports talent and its players are competing in national and international level competitions. They thanked the PTI leader and assistant commissioner for their visit to encourage the young cricketers.